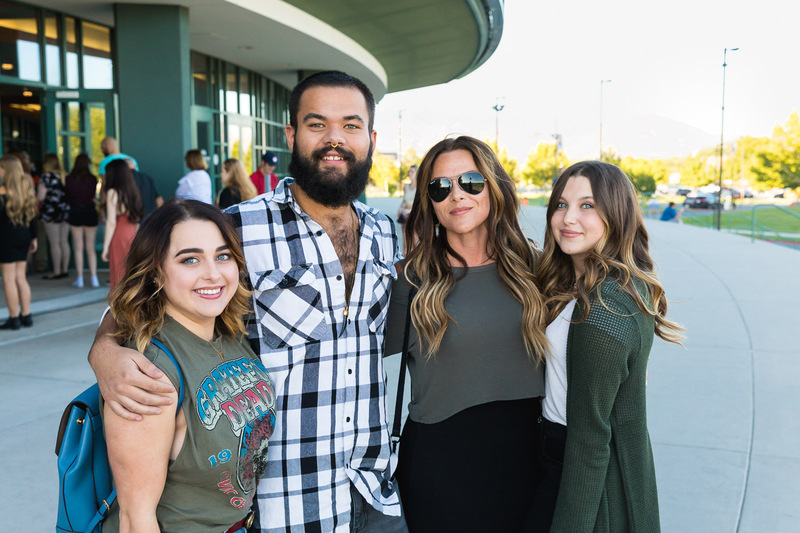 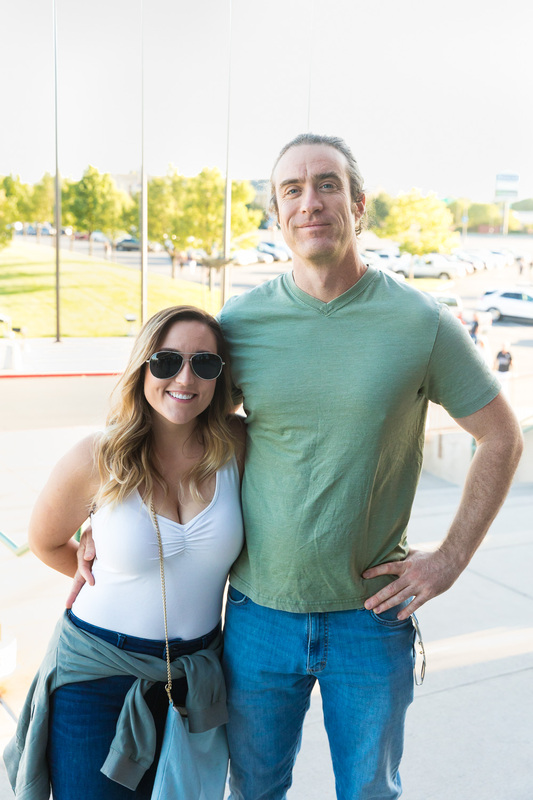 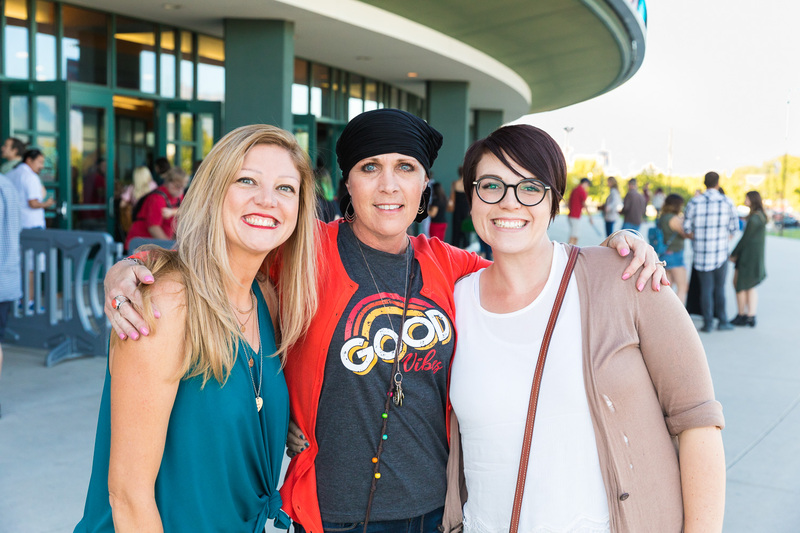 UK indie-rock group Florence and the Machine visit Salt Lake City at the Maverick Center in West Valley City, bringing along supporting musical acts including St. Vincent and Lizzo. 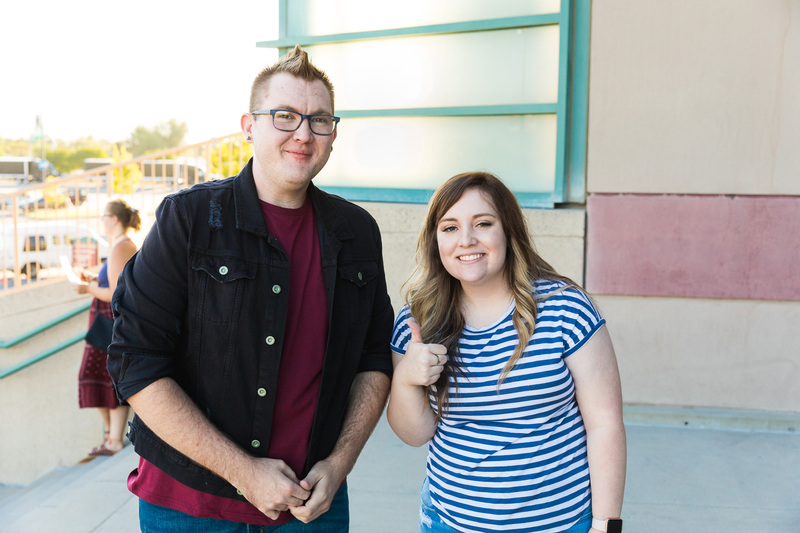 I trekked out to West Valley, found some parking for $10 and make my way to the entrance, G.A. 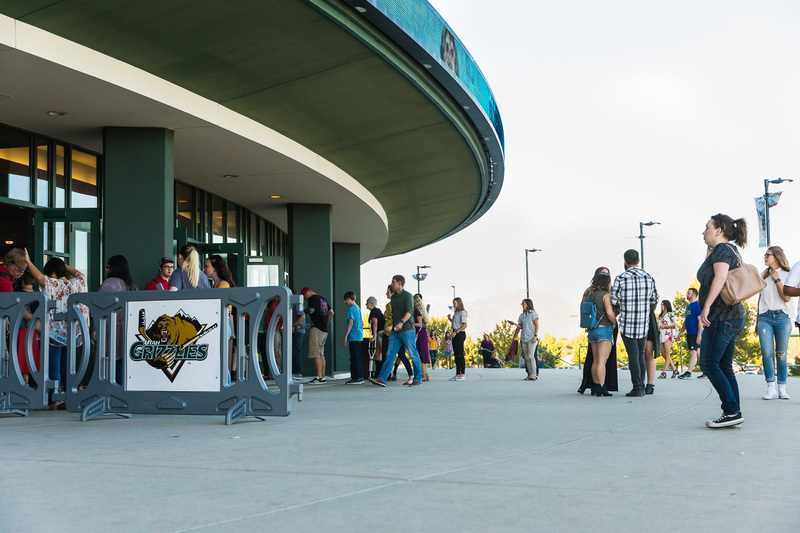 on the left, seating on the right, and fans trickle in as they fill the seats and get a spot up front on the usually icy, ice-rink floor. 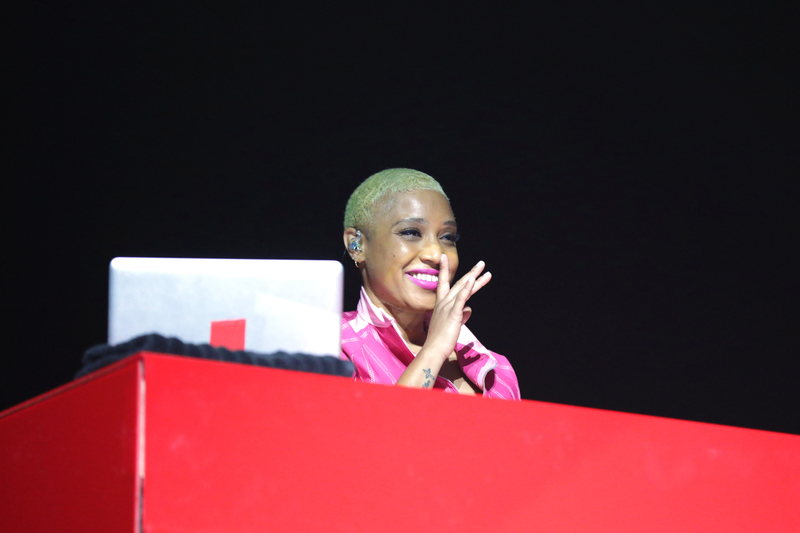 While attendees are still coming in, musical artist Melissa Jefferson (aka Lizzo), DJ Sophia Eris and some fabulous backup dancers hit the stage. 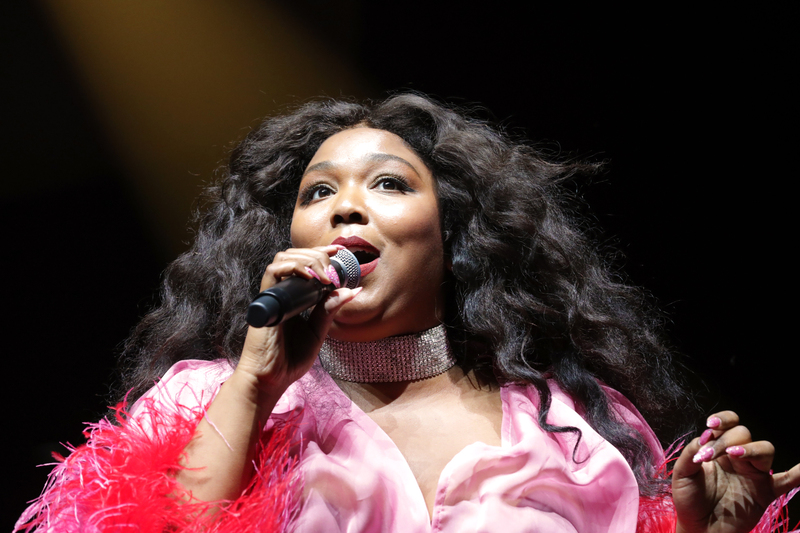 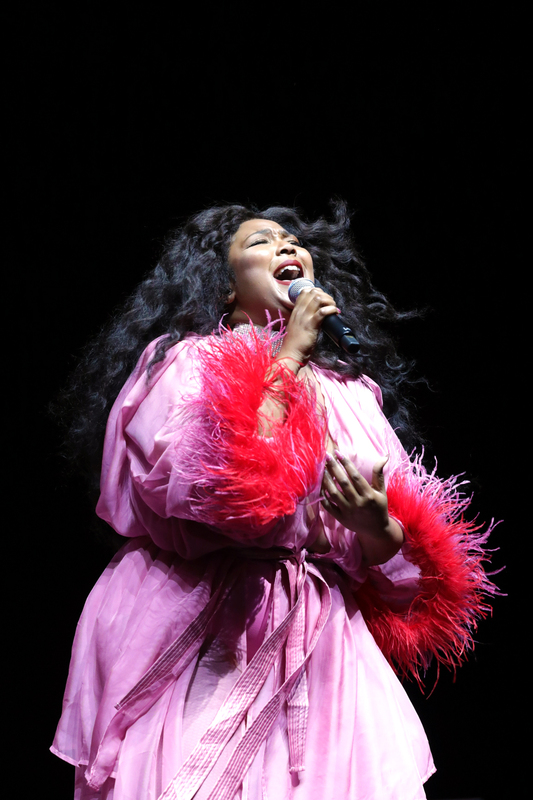 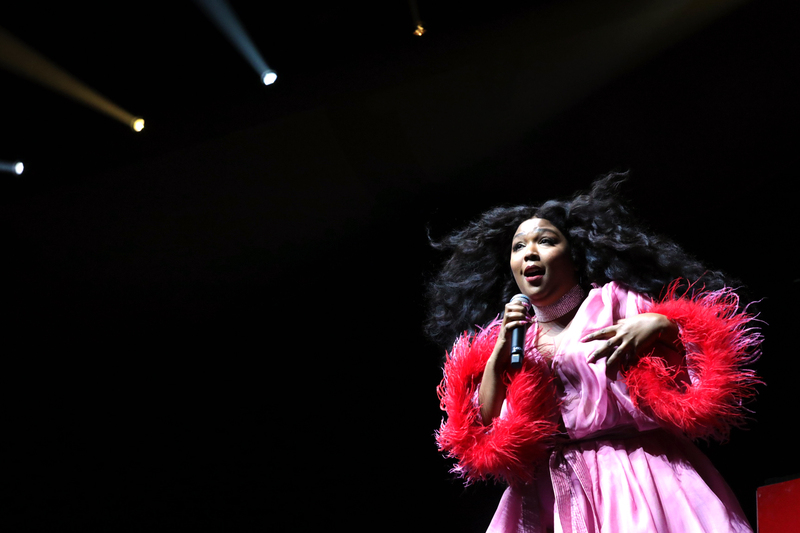 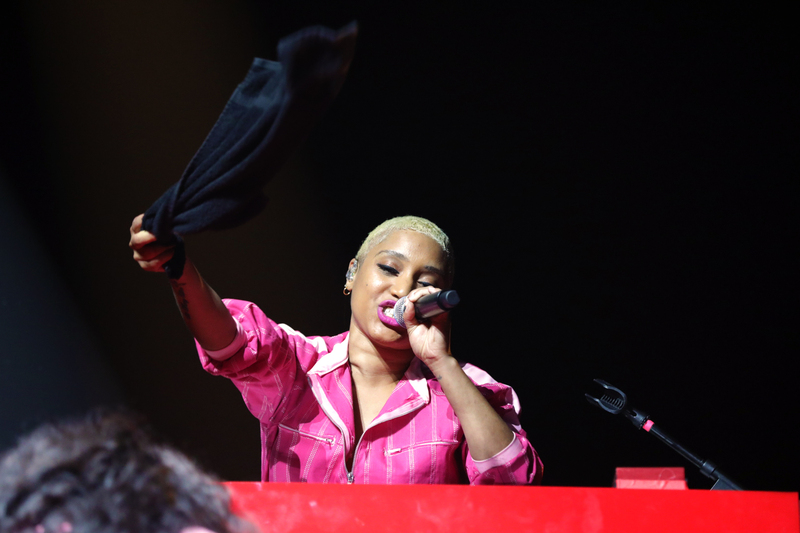 Singing mixes of alternative, hip-hop and dance tracks, Lizzo uses her powerful voice, vivacious stage presence and aura of self-confidence to energize the audience. 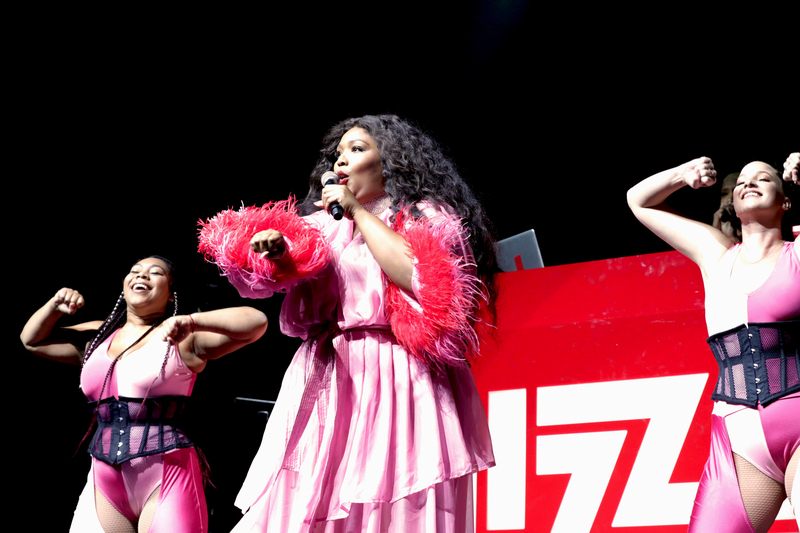 She sings about boys, where her phone is and looking/feeling good as hell and it’s safe to say that Lizzo made a few new fans that night. 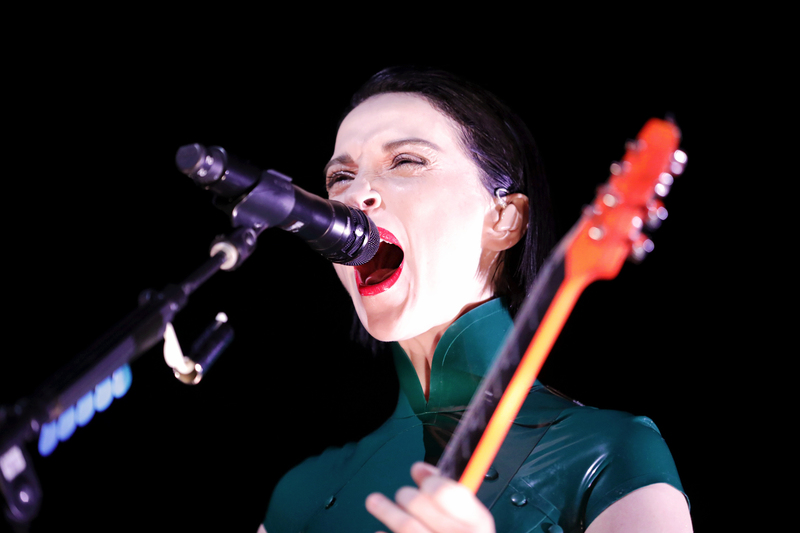 Next to the spotlight is American indie/art rock musician Annie Clark (aka St. Vincent). 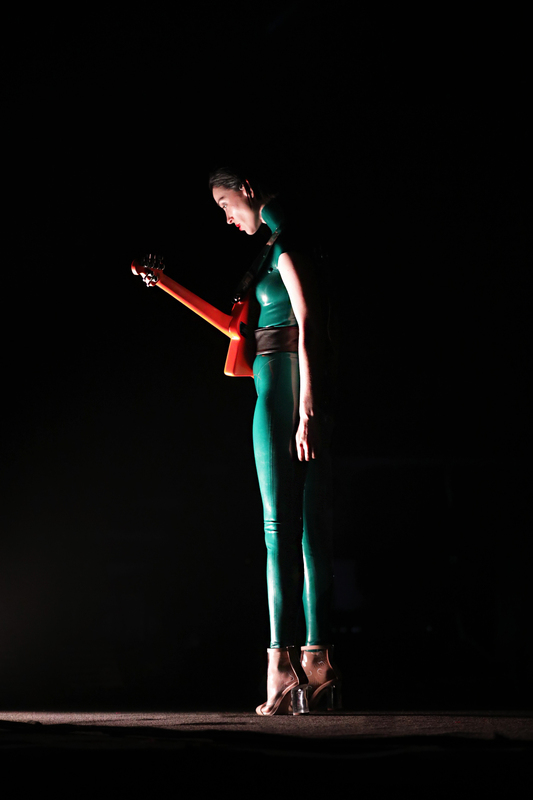 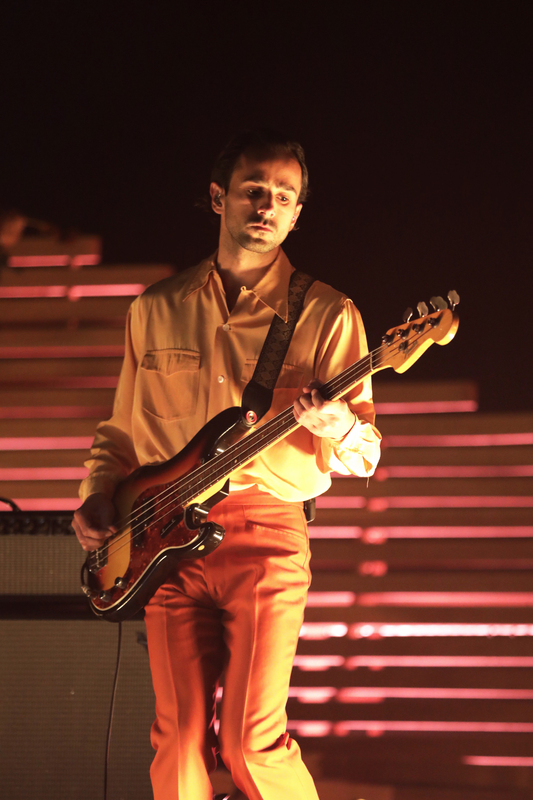 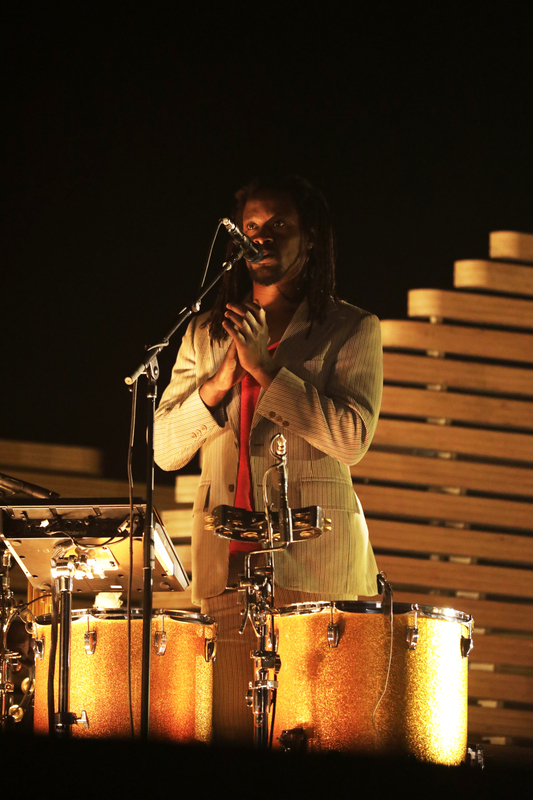 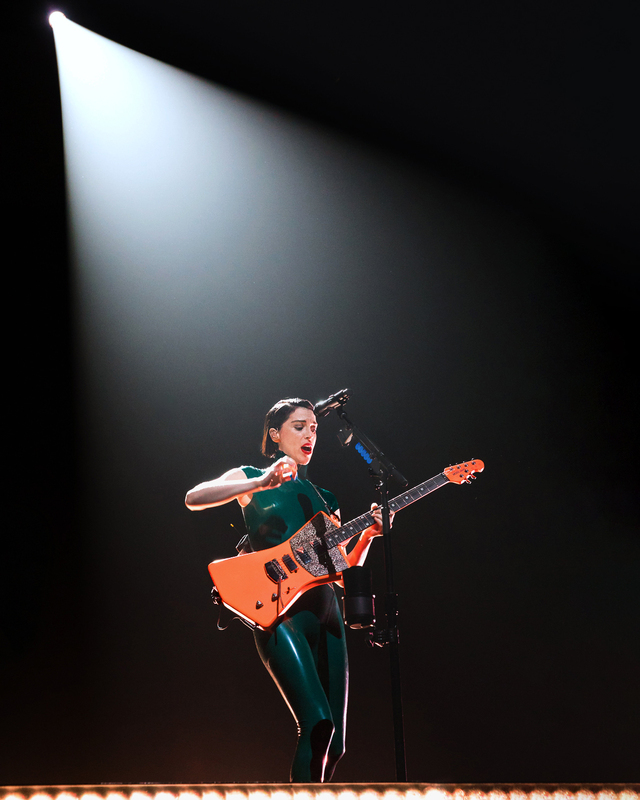 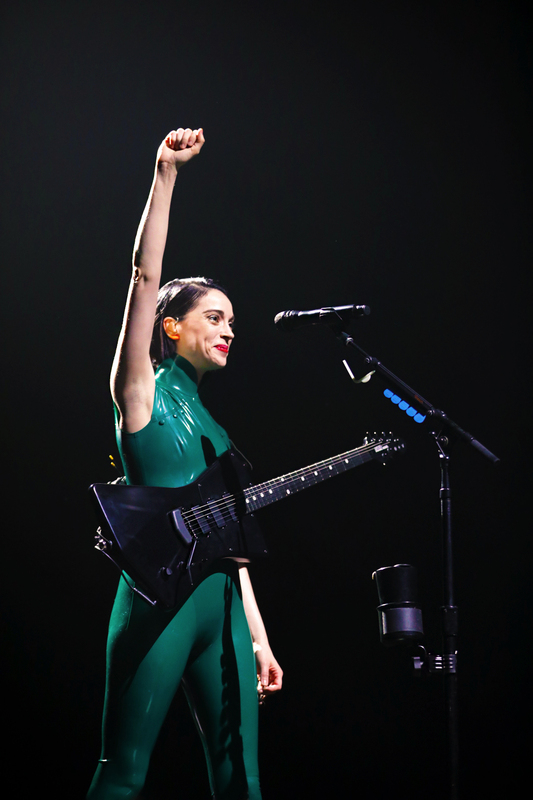 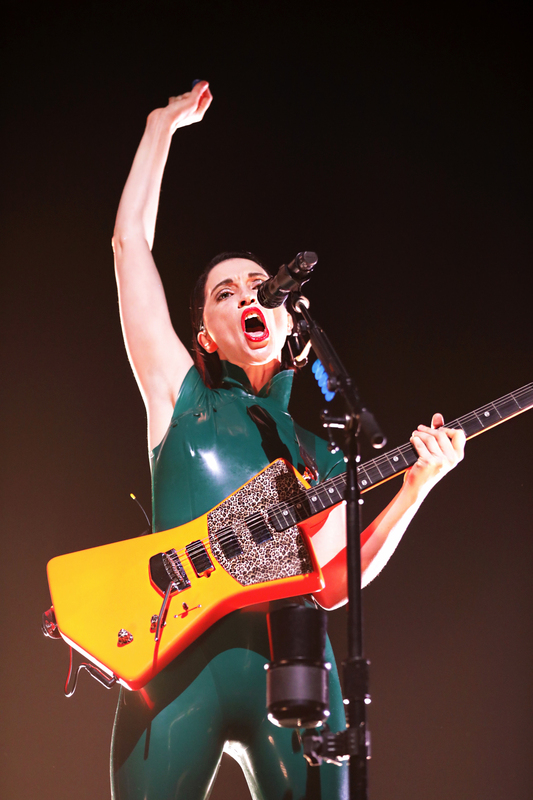 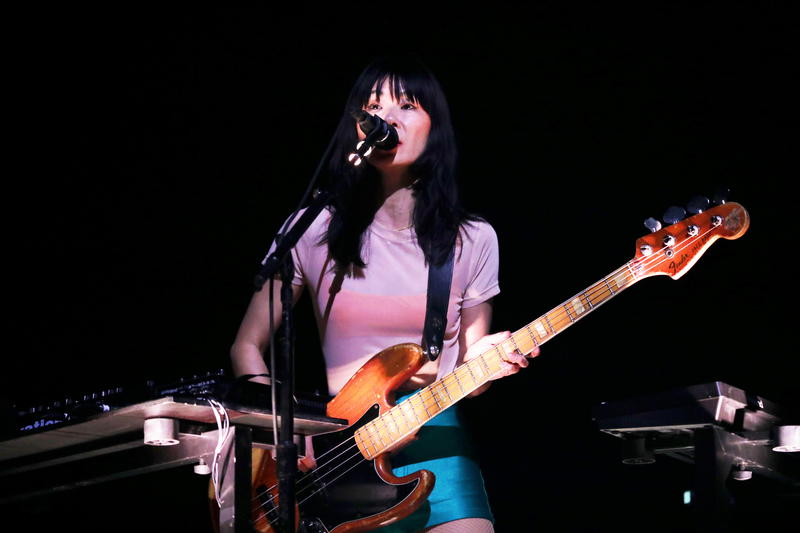 As each musician takes their place, audience members see St. Vincent, slipped into a fierce dark-green, leather jumpsuit, accompanied by bassist Toko Yasuda as well as keyboardist Daniel Mintseris and drummer, Matt Johnson. 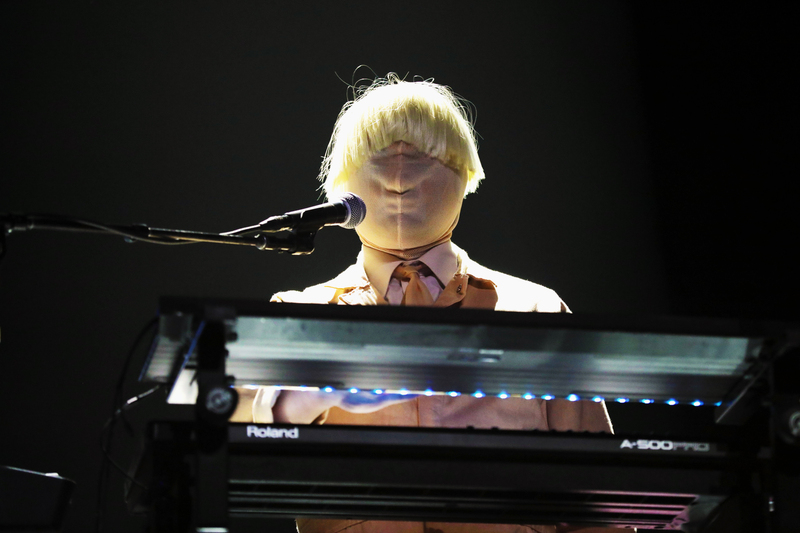 Minsteris and Johnson are each donning masks that can only be described as from the “Muppet Nightmare” line. 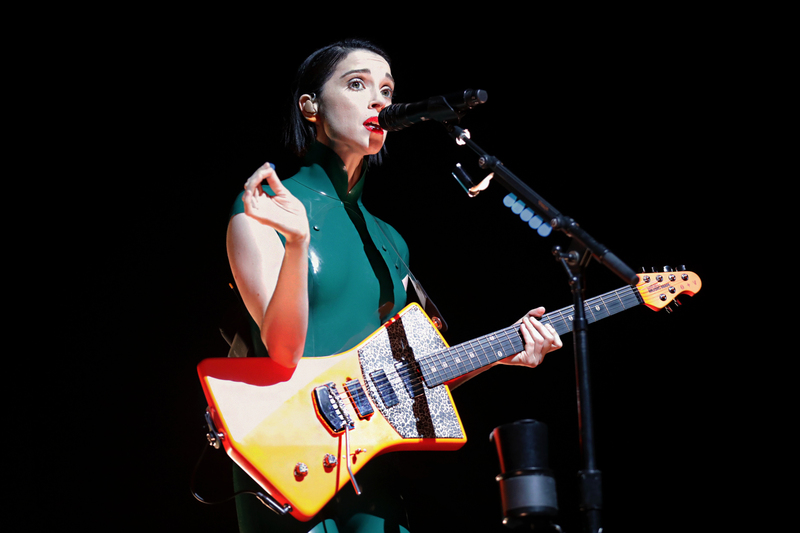 Playing a selection of music that might best be described as experimental, industrial-electronica, St. Vincent plays guitar and provides vocals over looping effects via keyboard and hard-hitting notes in between before transitioning into more easily digestible, dance-based pieces. 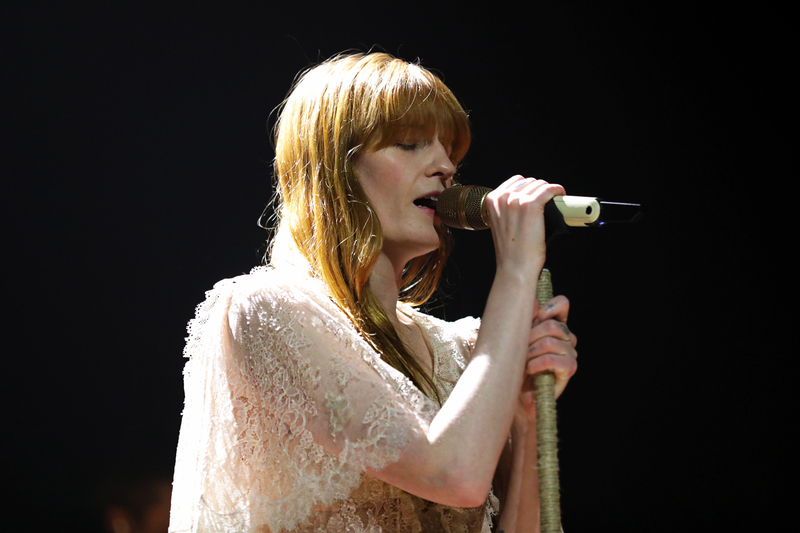 After a set change and an overall transformation with the reveal of an massive, intricately carved, wooden stage setup, Florence and the Machine take the stage one by one with the titular figurehead Florence Welch, teases her entrance as audience members spot her peeking in through the open slats of the impressive wooden stage. 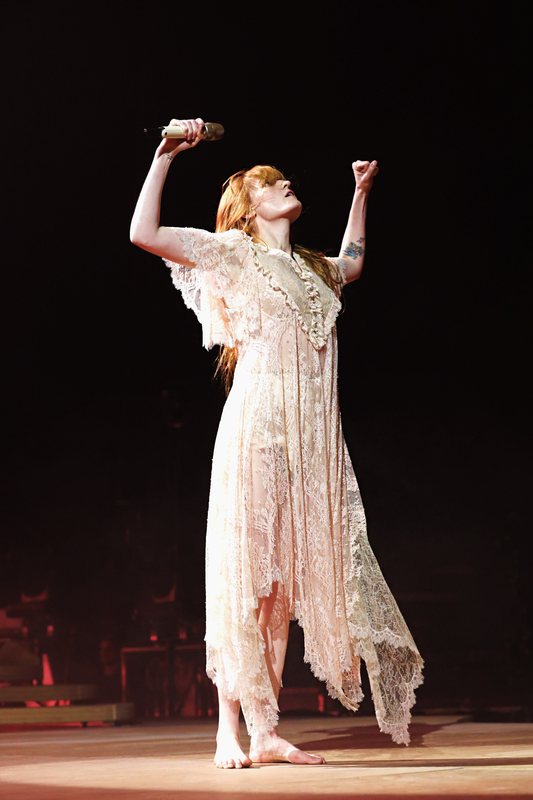 Florence approaches the microphone, greets the audience and like a forest nymph out of A Midsummer’s Night’s Dream and with a voice of a thunderstorm, sings for the audience. 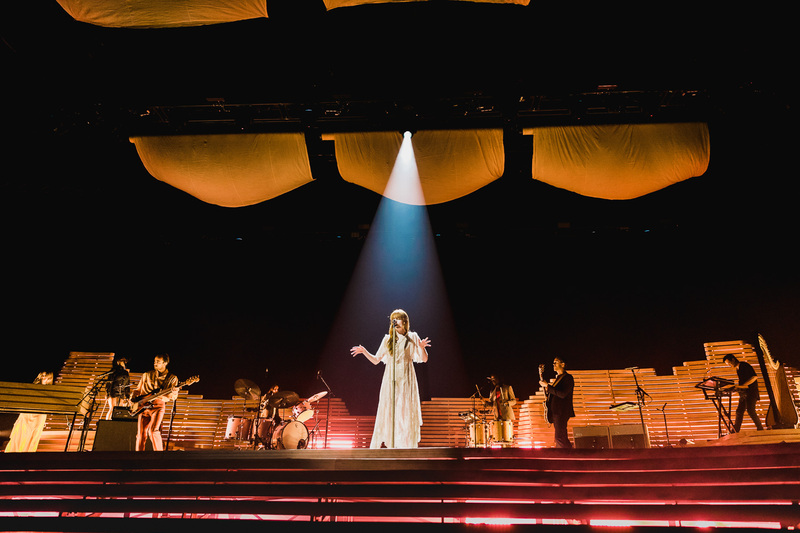 With the minor delay in the performance due to technical difficulties, Florence and the Machine provide a high energy, enveloping performance that, while at times ethereal, is no less powerful and entertaining for the audience.